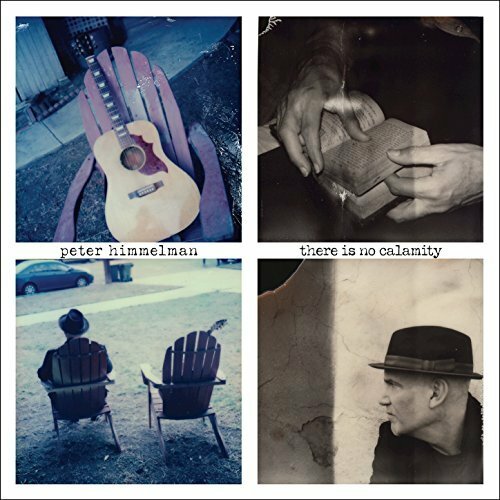 Album Review: Peter Himmelman, "There Is No Calamity"
I first heard Peter Himmelman back in ’87 with an incredible album called Gematria; it’s now 30 years later and he still can amaze you with a coupling of words or turn of a phrase. His is a very warm, yet very focused literary style of songwriting; his lyrics are very often melodic novels. And now he is about to deliver There Is No Calamity, a brand new collection of eleven songs – his 13th studio album and first since 2014’s The Boat That Carries Us. This is an album that you need to sit and listen to; pay attention to in a quiet, calm place. The intensity of the lyrics are restrained but no less fiery. The production is crisp and taut, as is the playing so there is, indeed, a very fine balance. The soulfulness of “245th Peace Song” has a singalong feel, considering the directness of the message – and this kind of contradiction is part of his genius; the galloping vibe of “Smoke and Flames” reminds me of a late ’60’s kind of track you’d hear dominating radio and the slow balladry of “Rich Men Rule The World” is no less a head-turner along with the chorus (“…and rich men run the world here/it don’t run on mercy – it runs on fear…”), which speaks volumes. On “Love Is What Carries Us Away”, I can hear snippets of a Brian Wilson-like arrangement – ethereal and melodic with a not-standard arrangement; “Depth Of You” is a warm, pure pop masterpiece and “Ropes and Wings” is directly from the Stax book of arrangements with a gospel tinge and a magnificent use of horns and Hammond B3. Once again, Peter Himmelman reminds us that songwriters of consequence still do exist and still try with the same vigor that they have had from the beginning of their careers. To me, that’s a very comforting thought. So again – sit up, pay attention and listen carefully to what Peter Himmelman has to say.